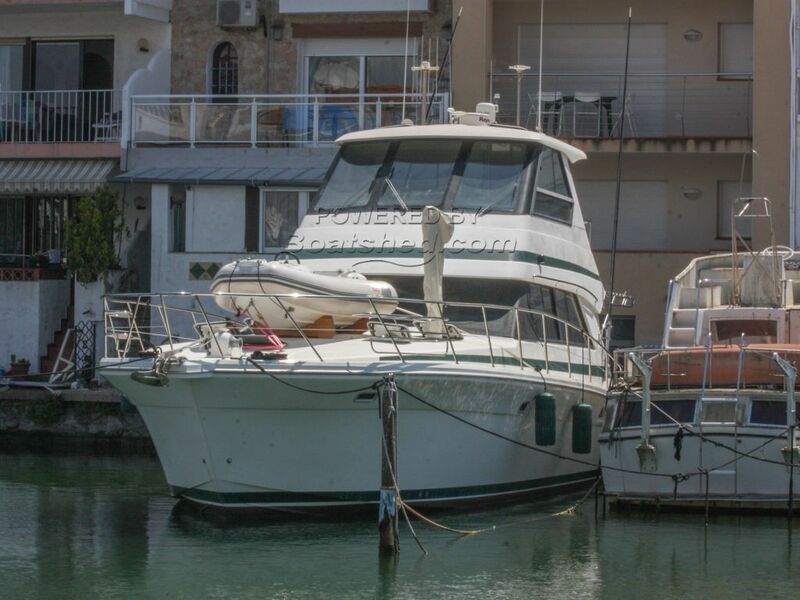 A serious and well-equipped sports fisher from the well known Australian builder, Riviera. Enclosed flybridge with air conditioning and an additional helm station outside on the rear of the flybridge giving great visibility all round from the fly. The cockpit has plenty of space for seating, baiting and cleaning with self draining lockers. The engine room is easily accessed from a swing locker in the cockpit and has good space to move around and access to the engines. The tender sits on the foredeck next to the tender crane to keep the stern free. Inside there is a large saloon area as usual with Riviera leading down to a well-equipped galley and the accommodation that includes 1 twin and 2 double cabins with 2 bathrooms, one en-suite. It may be possible to include the fishing gear. This Riviera 48 Platinum has been personally photographed and viewed by Paul Griffiths of Boatshed Costa Brava. Click here for contact details.